Qoyllority or Quyllur Rit’i ( Quechua “quyllur” is a star, “rit’i” means snow, so “star snow”) – or Star Snow Festival is celebrated every June 15 at the Sinakara Valley in the village of Mawayany in the Cusco Region of Peru, at 4600 meters above sea level. The festival is in honor of the Lord of Quyllur Rit’i what means “Lord of the Shining Snow “ is a Christ, whose image is plotted on a rock. 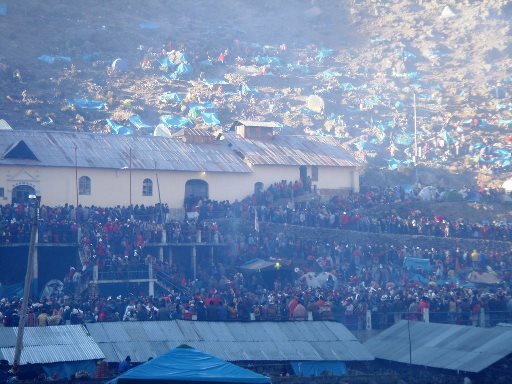 This an old religious festival only practiced by the inhabitants of the big Andes. Every year, days before the celebration of Corpus Christi, every small village sends a delegation with colorful dancers and musicians to the Capilla del Senor Qoylloriti. The Qoyllority festival gathers more than 10,000 pilgrims annually, most of them from rural communities in nearby regions. During the festival people participating in the procession of Our Lady of Fatima will have good luck in business, life and future. 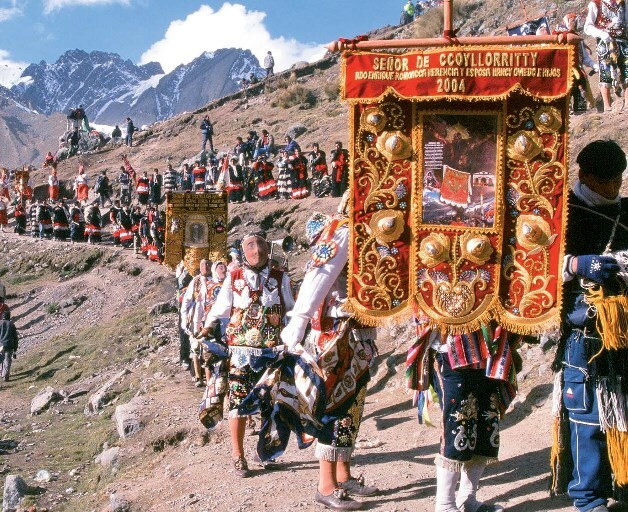 Since the 1970s, an increasing number of middle class Peruvians undertake the pilgrimage, some of them at a different date than more traditional pilgrims. There has also been a rapid growth in the number of North American and European tourists, drawn by the indigenous character of the festival. 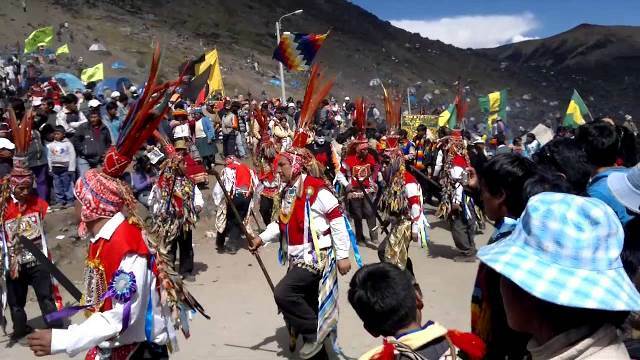 This festival and Qoyllorit’i sanctuary is actually declared cultural heritage of the nation.